Fall is fully upon us, and that means a lot of temperature changes and a constant chill in the air. Fortunately, paying a little attention to what I consume for the next week or so will ensure that I don’t end up with one of those nasty colds going around- I mean, who has time to be sick? For this week I picked out one of my favorite fall cocktails which relies on somewhat of an unorthodox mixer. Even though it’s a great source of phosphorus, manganese, potassium, and vitamins E, A, C, K, and B6, carrot juice rarely makes it’s way into cocktails. Even 1 ounce (like this cocktail uses) of carrot juice satisfies the daily minimal suggested anti-inflammatory consumption by researchers. What’s up now, Doc? 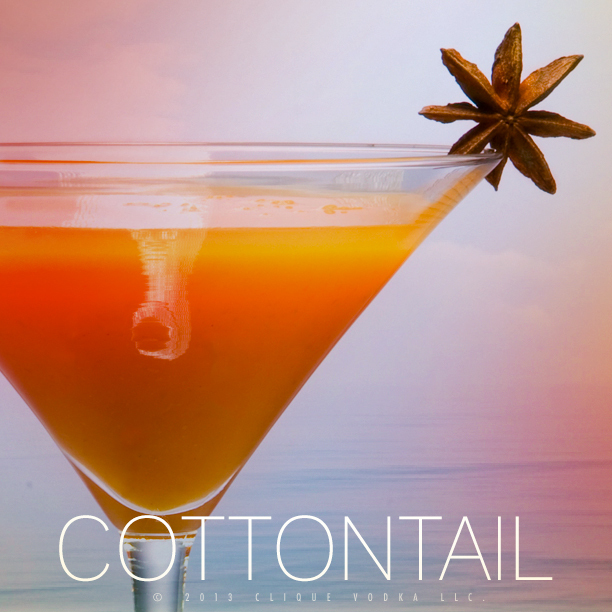 This cocktail calls for a ginger syrup which is easy to make and plays very well with the flavors of carrot juice. Simply throw 1/2 cup diced ginger root (use a spoon to peel it) into 2 cups boiling water. Cut the heat, let the ginger steep for about 10 minutes, then stir in 1 1/2 cups sugar until completely dissolved. Make sure you let it cool down to room temperature before making the cocktail though- you don’t want to cook the egg white. Yep, egg white. As long as you use fresh eggs there’s like a zillion to one chance that you might get salmonella- but hey, you gotta live on the edge a little. If you’re that concerned- just use pasteurized eggs, or pasteurized whites in a carton. To separate the egg white, firmly tap the center on the outside of a cocktail tin and gently transfer the yolk between the halves until all the white has fallen into the tin. 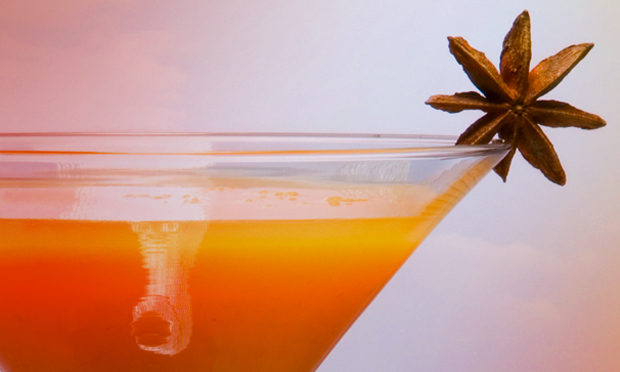 Add 2 oz Clique Vodka, 1/2 oz ginger syrup, 1 oz carrot juice, and 1/8 oz fresh lemon juice (about 2 wedges). Fill the tin with ice and shake vigorously. Shake very well for at least 15 seconds before straining into a chilled cocktail glass and garnish with a star anise pod. Oh- and did I mention that ginger boosts the immune system and is anti inflammatory as well? Happy Fall.